Love is in the air! 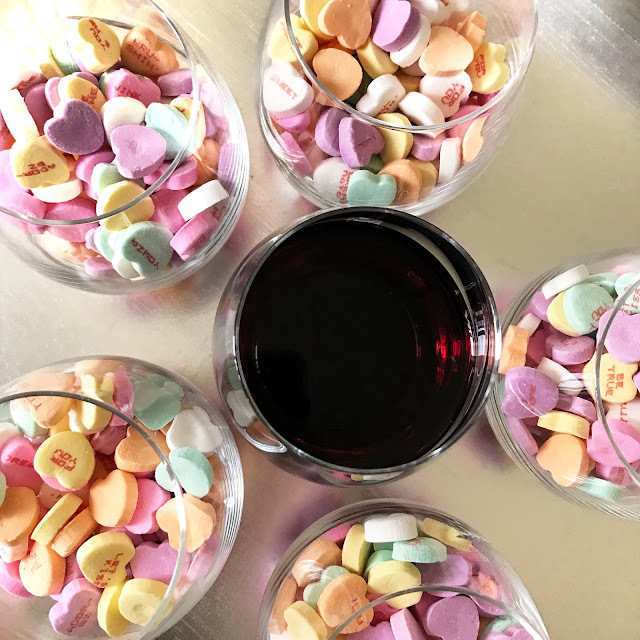 Whether you're snuggling with your love, hanging with your pals, treating yourself, or eating ice cream with your cat, wine is an essential part of any Valentine's Day celebration. In fact, I would argue that it is the most important part! Luckily, there's a wine for everyone on cupid's holiday. Whether you've been together for 50 years or five minutes, there's no better wine to celebrate love than Champagne. It also pairs well with food, making it a great choice for dinner out or in. If you'd like to get extra points with cupid, make it a rosé Champagne. Want to save some cash this Valentine's Day? Here are great alternatives to Champagne. If you're heading out on the town with other single friends this February 14, why not check out a local wine bar while the couples are at dinner? Order something funky like orange wine and strike up a conversation with fellow wine lovers. 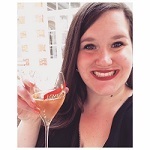 Even if you don't meet a romantic interest, you may make new wine friends who can introduce you to their friends! Ladies, make like Leslie Knope and gather your girls—single or taken—for a Galentine's Day party on February 13! (Not a type-o—it's the day before.) If you want to be authentic to Parks and Recreation, you're going to need some waffles, frittata, and mimosas. If you'd rather throw an evening soirée, go with a fruity and fun wine like Beaujolais. Another great choice? February's wine of the month: a hot pink rosé from Down Under. Drink your favorite wine—but crank it up a notch. If you normally spend $10 on a bottle of wine, spend $20. Feel free to keep it within reason but remember it's a day to treat yo'self. (Last Parks and Rec reference, I promise!) As for me, I'll probably be popping a bottle of sparkling wine. The Les Capriades 'Piege a Filles' Pet-Nat is calling my name! I love the space here. I attended an amazing event here and I ate more than I should. I had bread pudding, apple crisp, waffles and strawberries and cream. The main floor at event space Atlanta is very large and good size without being overwhelming, also there's tons of bar space too to order drinks.